This is a pretty big hose at 75 ft. expandable hoses are my favorite. I love that I can hang this and out of season can store it away without it taking up lots of room. Great because it isn't heavy when I am using it which is great for me since I have Fibromyalgia. Come with all of the attachments and a hose nozzle. Everything you need to be up and going in minutes, no running around trying to find the right pieces to put your hose, nozzle and spicot together. 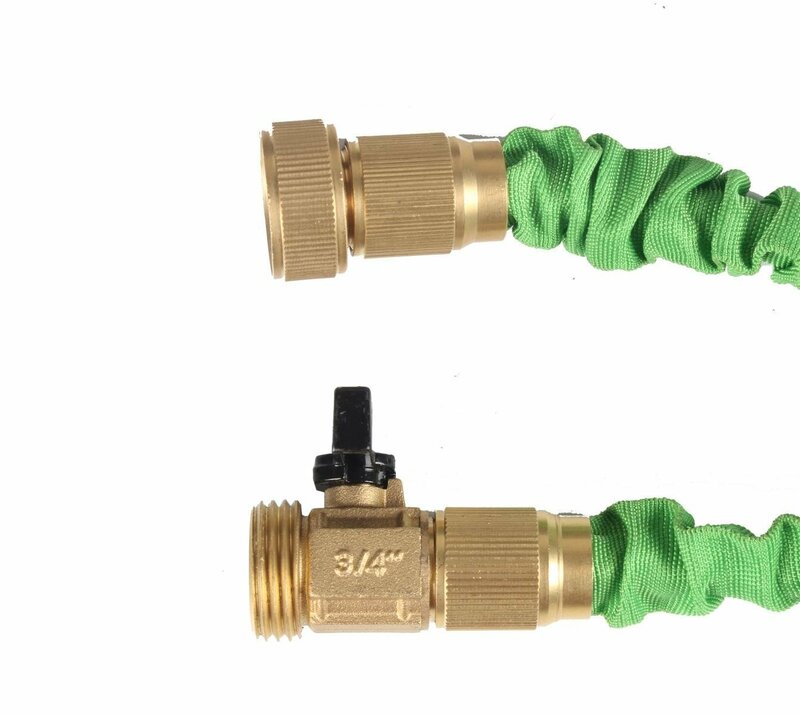 Easy to install, expandable hose which shrinks down small and compact. So easy to store. 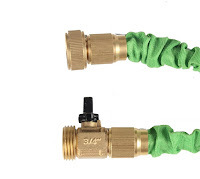 I love that this hose comes with it's own spray nozzle which isn't cheap at all. Has 8 different settings. You are sure to find one that fits your needs. We love the mist and the shower function. Great for your garden, washing the car, outdoor furniture, or even the outside of your home. 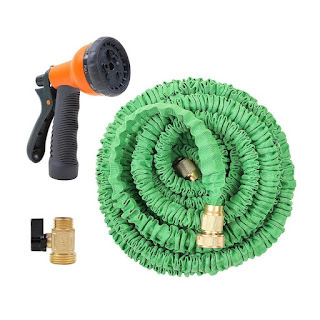 You can find this 75 ft, expandable hose on Amazon. -Package dimensions: 5.90" x 9.40" x 5.90"